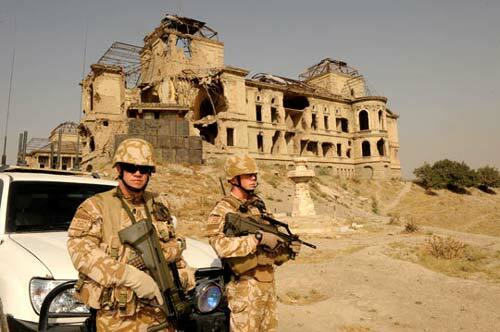 Major Olly Te Ua (left) and trooper Nick Hill patrol outside the King's Palace in Kabul, Afghanistan, in August 2009. During the 1990s and early 2000s, although New Zealand maintained its opposition to visits by American naval vessels, the US demonstrated a growing acceptance of this situation. The relationship also warmed because New Zealand showed itself willing to participate actively alongside the US in international conflicts such as Afghanistan.